I love this recipe. 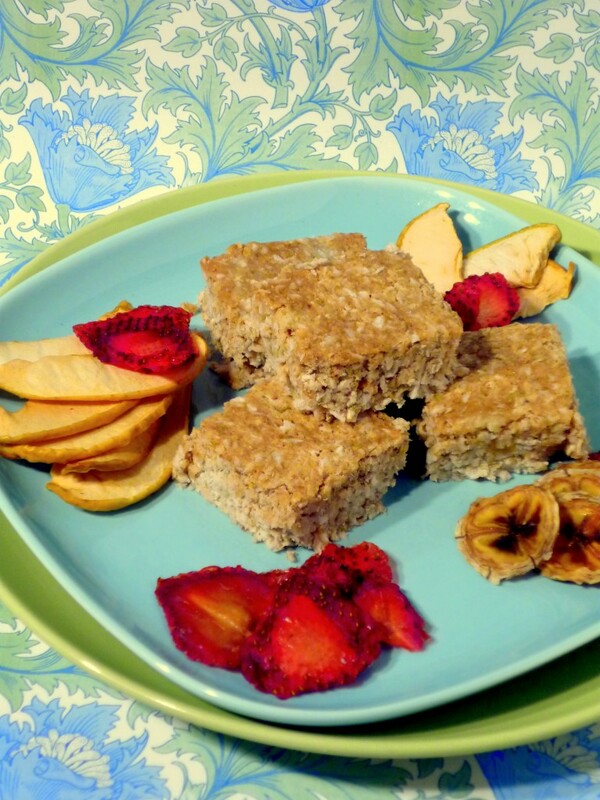 When my gut is just going bananas and won’t tolerate anything, these breakfast bars are what I reach for. The first time I ate something similar at Rainbow Foods, I couldn’t believe the relief in my gut. This, this is worth trying. I never thought I would be one of those hippie types that makes sprouts, but, um, I believe it has begun. (don’t worry! I don’t burn patchouli or forget to wash my hair. That starts next week ;) ). Anyways, if you have a super long list of food intolerances, and you are trying to find something substantial for breakfast, this is perfect. It has a light sweetness to it, and a fresh texture. Its suprisingly easy to make- just soak the night before, and then dump the ingredients in a blender! Chop up dried fruit or fruit chips, and add them. 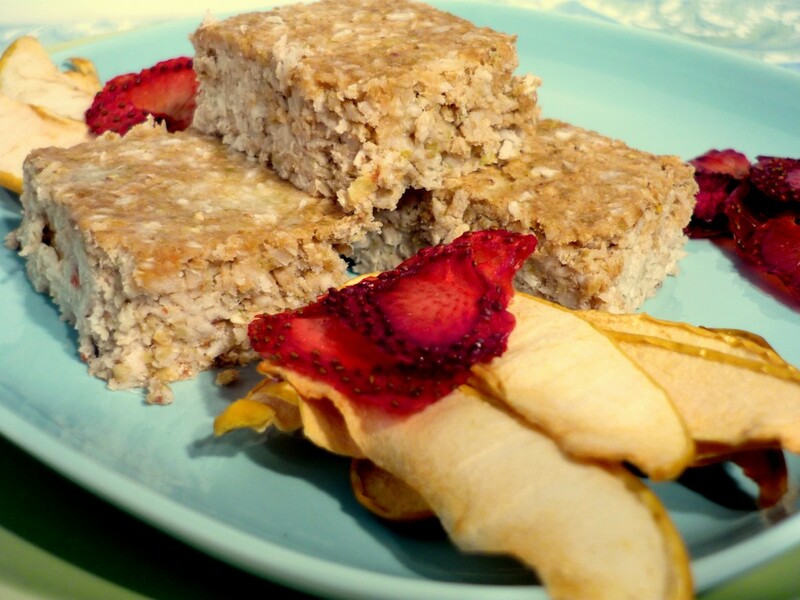 These breakfast bars are soft, so do keep them in the fridge. I like to spread a little honey and almond butter with a hint of sea salt on them in the morning to eat. Perfect breakfast. The day before: Soak the buckwheat in the water in a sunny location for no more than 20 minutes (this will sprout them. They sprout quickly!). Rinse the buckwheat sprouts thoroughly in a fine mesh sieve. Put in the fridge in a bowl over night, covered by a damp tea towel. This is also the perfect time to put your dates in a bowl of water to let them soak overnight as well. The next morning- drain the dates and remove the pits. Add the dates to a food processer and puree till smooth. Add the banana and any dried fruit you may want. Add a pinch of salt and any flavourings you may want- i.e., cinnamon, etc…. Puree till the whole mixture is smooth. Rinse the buckwheat one last time in a strainer, and add to a separate bowl with the coconut. Stir in the date mixture from the food processer. Return the whole mixture to the food processer, blend until it becomes a thick, stiff paste. Press the paste into a pan and refrigerate. It will become firmer. You’re done! Will pre sprouted , dehydrate buckwheat work? Upayanaturals.com sells some this way and it cuts out a step. I didn’t have any buckwheat, so I used oatmeal instead. I added cocoa powder and dried cranberries and drizzled melted chocolate over the whole pan. They turned out great! I have buckwheat berries that are specifically for sprouting. Those should work, right? Do I need buckwheat groats for this or can I use buckwheat berries?